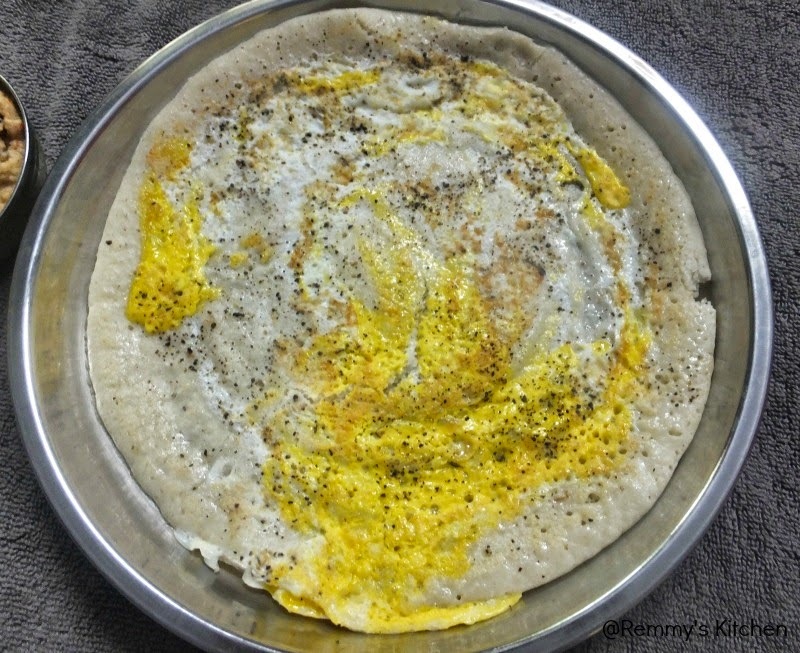 Muttai dosai is a simple tasty filling easy to prepare dish.You can take it with any side dish of your choice. 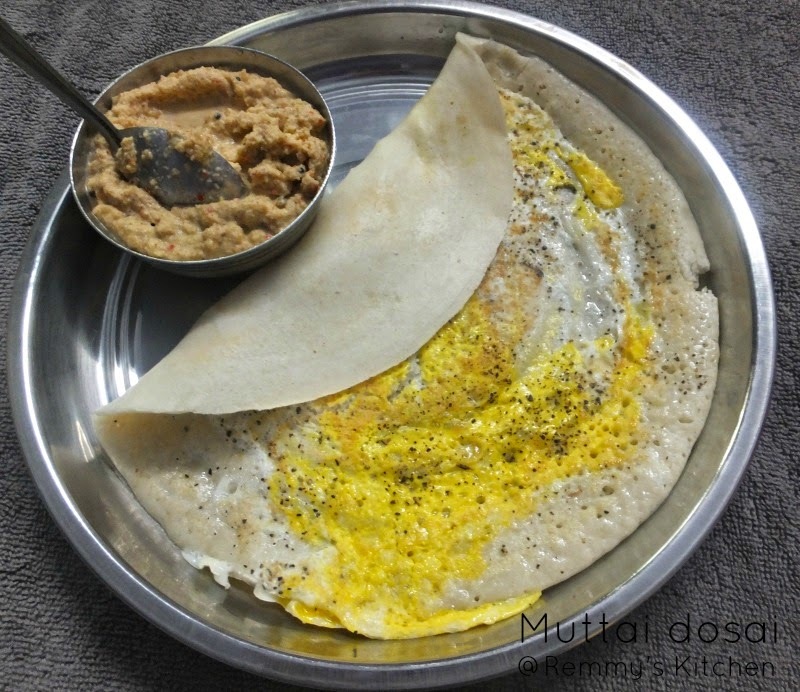 In a pre heated dosa thawa pour 2 ladle full of dosa batter and spread it in a circular motion like normal dosa. Drizzle 1 tspn of oil over the dosa. Sprinkle pepper powder and salt. Cook well on both sides. kids love this healthy breakfast,yummy!